Silver Rounds are basically silver coins that are made by private mints for the purpose of silver investment. They are called 'rounds' because they are not actually coins, they are just 'coin-shaped' silver bullion. 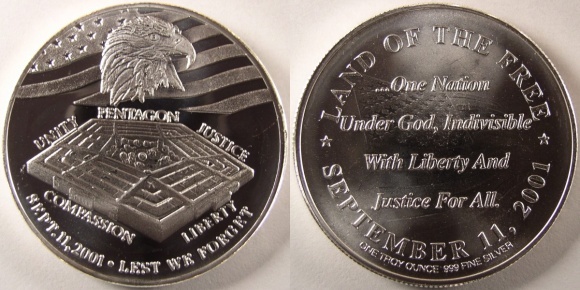 They differ from silver bullion coins produced by various governments in that they are not backed by any government and they are not legal tender. They are made in various sizes ranging from one ounce to several kilos, however, the one ounce size is the most popular. The content of silver in these coins is usually refined to 99.9% purity. 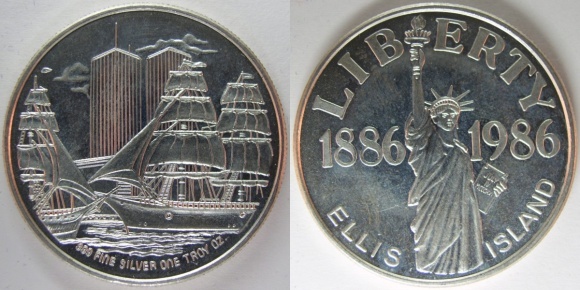 Sometimes an alloy such as copper is added to the silver to give it more durability but the amount of silver stamped on the coin is still the actual amount you receive. For example, a one ounce "round" will still contain one troy ounce of silver regardless of whether an alloy has been added to it. 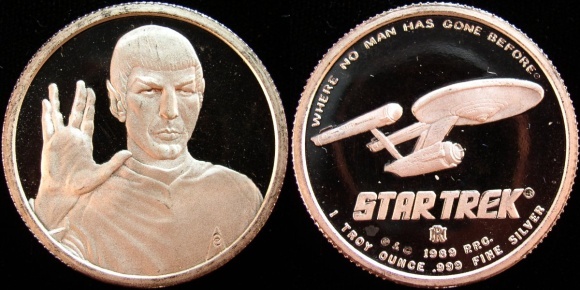 The actual coin may weigh more than a troy ounce. You can find just about any design you can think of in these silver bullion coins, from famous people to animals or plants to relgious symbols and holidays. You can even have a custom design stamped on them. They also make great gifts for any occasion. I have received several as Christmas gifts. They would be great for that hard-to-buy-for person. As far as coin collecting is concerned, these silver bullion coins have no numismatic value. This simply means that they are strictly valued on their silver content without regard to age, condition or rarity. If you are looking at silver as a form of investment while still being able to collect interesting and beautiful designs, silver rounds trade for a smaller premium then traditional government issue silver bullion coins.